This case was built for Kansas State University. The case is designed to hold all of the audio visual equipment needs to display films before each game. 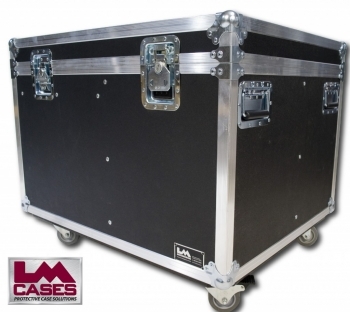 The case holds 2 JBL Eon 10 speakers in separate foam lined compartments. 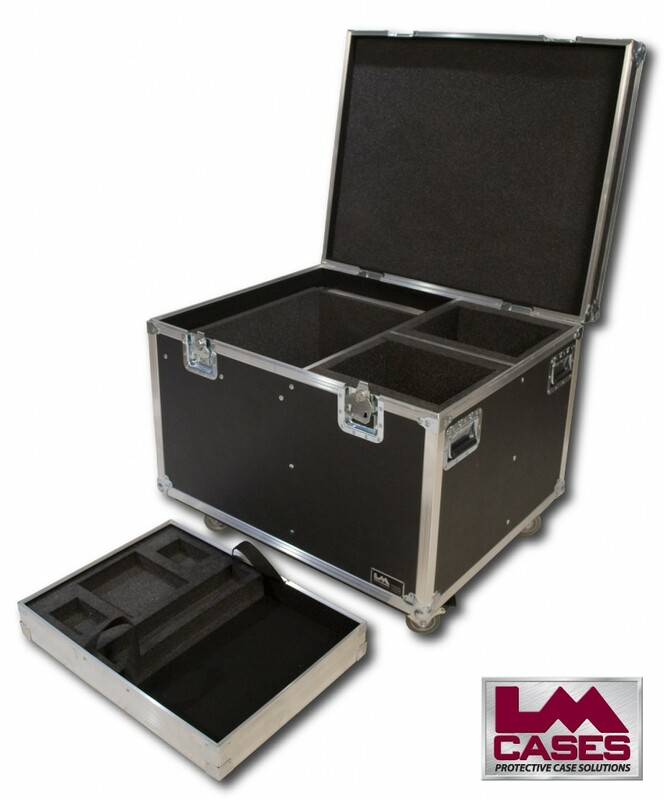 The left compartment of the case features a removable tray with a custom CNC cut foam insert that holds two Radial AV direct boxes (provided by LM Systems division) and a small mixer. There is a foam lined compartment under the tray to hold all the cables and projection equipment needed to complete the system. 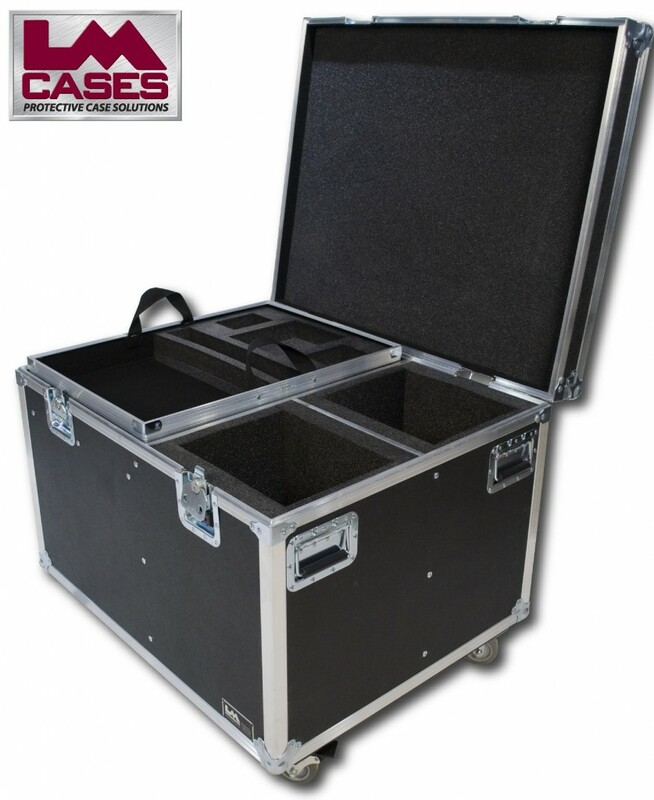 The exterior of the case is built out of 3/8" plywood and features 3.5" Colson locking casters, and a recessed combination locking latch. Special thanks to Scott and Kansas State!